Special thanks to Mahesh Sethuraman, author of Run Roll Rest Repeat for putting this story together. And thanks to Caroline, Ashley and your whole family for being apart of the LaceUp Running Series! My name is Caroline. It may seem odd that I am writing this letter—as I am just barely a month old—but I believe I am the youngest finisher of the 2016 Lexus LaceUp Running Series and I am requesting a LaceUp Series Challenge Medal for my mom. Back in September of 2016, my mom who was seven months pregnant at the time, was told she could only participate in running races of six miles or less. She had been racing regularly while pregnant with me—you can say I was born with a racing stripe. 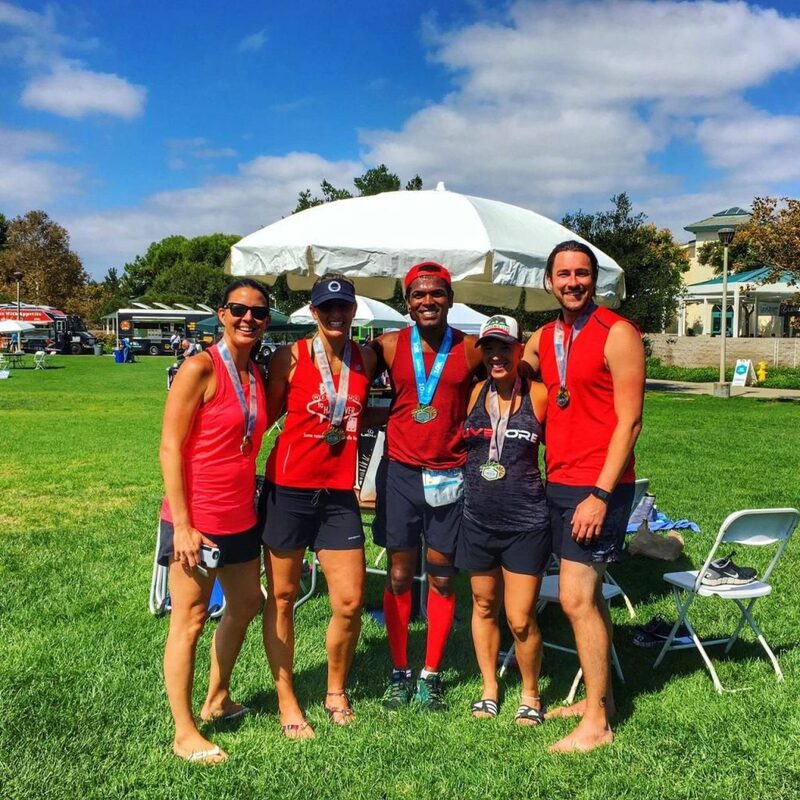 We ran in the Laguna Hills Memorial Day Half Marathon, San Diego Rock and Roll Full Marathon and several other races all over Orange County and the San Diego area. Since my dad was deployed overseas at the time, running and racing comforted my mom. They gave her a sense of normalcy. Something to look towards and prepare for. 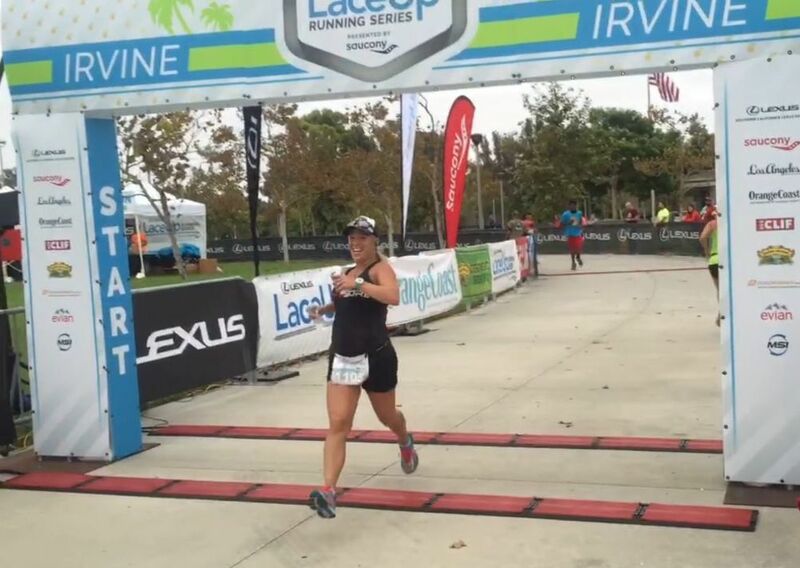 In late August my mom’s friend invited us to run in the LaceUp Irvine Marathon Relay—each participant doing a 5.24 mile stretch. This distance was so perfect for her. She got super excited to sign up and do this race with friends. On Sept. 3rd, we woke us up so early to drive to Irvine, CA. I could feel how happy she was. In the whole 7 months, we hadn’t done a relay! We were greeted with so many hugs and some seriously good tunes. I remember hearing cheering as we waited to run. Our team wanted us to go as the first leg, before the August heat of the day. We were giving high fives to all the runners at the start line. It was so great to be a part of a team and my mom was so happy. Then we were off! Our heart beats really got going and we both felt super good! We had been running regularly so our portion of the marathon team relay was fun and smooth. She even managed to text her friends and let them know how she was doing, while running! As we neared the finish/start line, the announcer exclaimed, ‘Oh my goodness, this young lady is running for two!’ That she was. She had been doing it for months. We were so proud when we finished our first leg—faster than lots of other runners. With my due date quickly approaching, my mom wasn’t able to register for LaceUp Ventura. That turned out to be wise as I was born on the exact day of the Ventura race, Oct. 22. I came running into the world just as LaceUp runners were beginning to cross the finish line. Our doctor didn’t give the clear for LaceUp Palos Verdes. Even though she was sad to miss the race, we both felt good about the decision. I wasn’t letting her sleep much and my dad encouraged us to get some much needed Zzz’s. At the end of November, our doctor said we could start jogging again! We got a double stroller, to carry me and my big sister, Ava. On her first run back, my mom texted her jogging picture to a friend, laughing about how heavy the stroller was. Her friend asked if we wanted to do the final LaceUp Riverside race, to finish out the season! Since she ran the first LaceUp race with me still in her belly, this was a full circle moment for us to go back and finish out the series. LaceUp Riverside was the perfect way for us to get back into racing. I was so excited to run with my mom, this time taking to the course on a sweet set of wheels. My mom and dad registered for the 5k and Ava registered for the Kids Run. 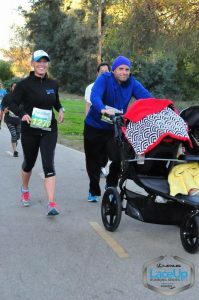 We ran the 5k together and did pretty well (Ava and I in the stroller). My mom and dad loved the local food truck brunch and Sierra Nevada beer toast. I loved my warm bottle and cozy stroller as I took a snooze close to family, great friends and those great tunes! I think you guys put together the best race, and coolest after race party! I love the picture of my big sister Ava sitting next to the fancy Lexus. We can’t wait to come back and participate in the series next year. So about that challenge medal. We missed two races because of my timing, but I know if things had been switched around, she would have been at every race! As her running partner and biggest advocate, I was wondering if you could make an exception and dub her an honorary challenge medal winner? We would think of it as a memory of this very special time in my mom and my life—when we found a really awesome way to cope with my dad being away and found a new passion in racing. Well, whatever you end up deciding, we can’t wait to come back and run all four races next year and officially get one of those shiny LaceUp Challenge Medals! Thank you for your wonderful letter. It sounds like your mom is quite the tough runner! We would love to make you and your mom honorary LaceUp Challenge Medal recipients. LaceUp is all about celebrating friends, family and running and it sounds like your family is doing just that. We can’t wait to host you all in 2017 and we wish you all a happy holiday season. Special thanks to Mahesh Sethuraman, author of Run Roll Rest Repeat for putting this story together.